What would be your ideal yearly salary? Have a think about the amount needed to cover your essential costs and to maintain your lifestyle. We can then let you know if this is a suitable business for you and which services you would need to run to achieve this goal. Please let us know how many hours you would like to work each week and if there are any days/hours you would like to work or not work. For example would you like to work term time only? Are you going to be fitting the business around an existing job? Do you have family commitments? We will use this information to help us identify what an average working week would look like for you and to help you achieve your financial goals. Thank you! Someone will be in touch within 2 working days with your prospectus and more information. Fun Science is a company operating primarily in the UK but with branches in the USA and Switzerland too. 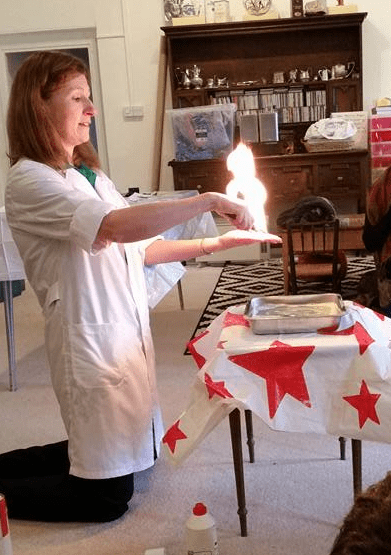 Fun Science franchises give you everything you need to start your own successful business demonstrating practical science activities to children age 4-11 through workshops, after school clubs, birthday parties and holiday clubs. We have territories available across the UK and internationally as well. Read on to find out about our great start-up/ongoing support package. low investment, high earnings, tons of fun! Fun Science franchises offer a low investment opportunity to run your own business. Exclusive UK territories cost just £4,995 set up fee with £150 a month maintenance fees (rising to £250 per month in year 3). There are no hidden costs, we do not take a percentage of your turnover and you do not have to purchase replacement equipment and materials through us enabling you to keep costs low (though we do offer a shop service if you would like this). Click here for information about our international franchise opportunities. Your own exclusive area with at least 50,000 children aged 5-11. Automatic accreditation as a learning destination with the Children’s University. Access to our promotional videos, high resolution images, logos, printable items, lesson plans and more. Ongoing help and support at every step of your business journey including employing staff, dealing with incidents, business expansion etc. Continued access to over 1000 downloadable documents including lesson plans, photos, videos, sample adverts, risk assessments, contracts, procedures for dealing with non-payment etc. Access to our branch owners’ Facebook group for you to share ideas with other Fun Science branch owners. A Fun Science franchise gives you the flexibility to work as little or as much as you would like. 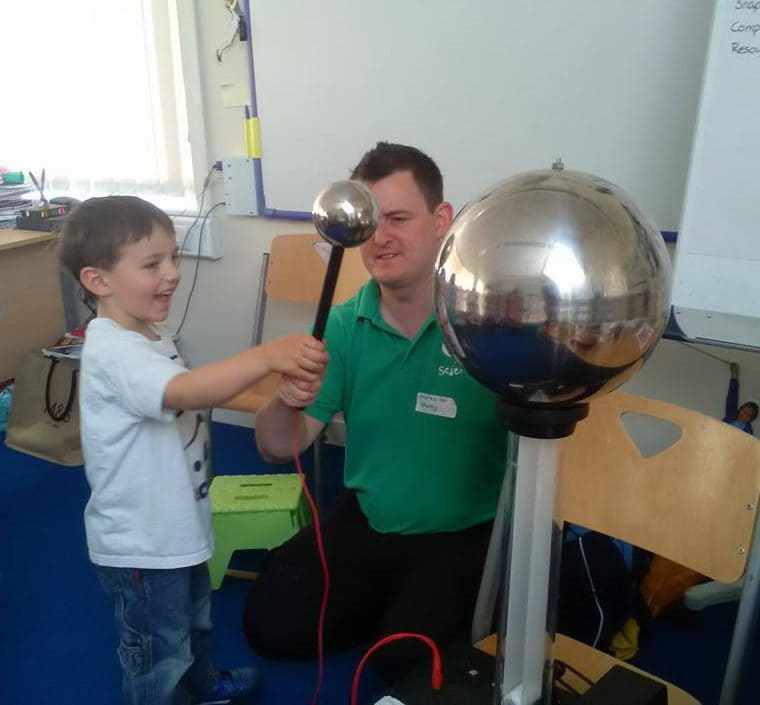 You will be provided with all the resources and training to run birthday parties, workshops, holiday clubs and after school clubs. However, if you choose to focus on one service or to miss out one service all together, you can still earn a full time wage working part time hours. For example, a parent may choose to run more holiday clubs so that they can take their children with them or more in-school workshops and home education groups so that they are home when their children start and finish school each day. It’s completely up to you! Costs do vary slightly according to the location of the event but we have included rough profits for each of our services below. If you decided to work part time and run 2 after school clubs per half term, 2 birthday parties per week and 6 groups of fun days per year you could earn a yearly average of £31,866 before overheads (insurance, office costs and any additional marketing you choose to do - roughly £100 a month). If you choose to take on staff you can earn much more than this. For more information on earnings please email us at info@fun-science.org.uk or call 07708 214840. We are also happy for you to contact any of our existing branch owners and they may be willing to share with you some of their figures. Click here to view contact details for all branch owners. It’s not really work, it’s pure fun! Want to find out more or request a free prospectus?